Man Must Die are a metal band hailing from Glasgow, Scotland. 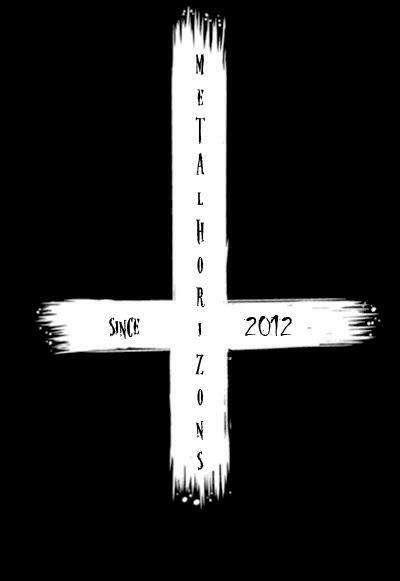 Since their formation in 2002, they have released 3 full-length studio albums, their last being 'No Tolerance For Imperfection' back in 2009. 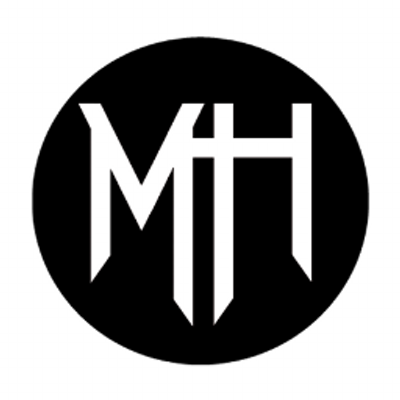 The Scottish Metallers have returned in 2013 with a whole new rhythm section. As soon as the albums eerily beautiful opening track Congregation ends, the album explodes into the thunderous madness of Hiding In Plain Sight. As soon as those first maniacal guitar notes are heard and those chaotic drum blasts bleed from the speakers, Man Must Die's 4 year absence seems instantly forgotten as they burst their way back into their listeners eardrums and pick up exactly where they left off. Where No Tolerance For Imperfection stood as a straight-ahead torrent of vociferation. Peace Was Never An Option recaptures that venomous spirit perfectly, but it's with the the addition of an unadorned melodic style, along with some killer hooks, that not only helps the overall aggressive parts to stand out and flesh out the fury, but attaches an overall grace to the sound of the album. Any doubts about the new rhythm sections are quickly eliminated as new stick man James Burke proves himself, not only as a worthy successor to Matt Holland and John Lee respectively, but as a truly talented drummer and helps keeps the pace of the album effortlessly. All this is perfectly reinforced by the steady bass work of Daniel Firth, whos solid consistency, alongside a catchy interlude on The Price You Pay helps glue the album together. The greatest force on this album comes directly from the mouth of singer Joe McGlynn. 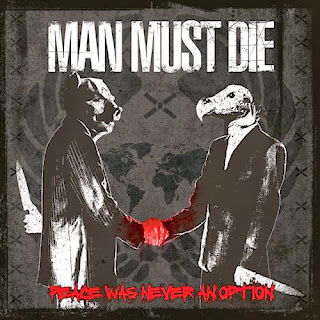 The aggressively untamed roar that erupts from his every word perfectly aids in the projection of Man Must Die's sharply perceptive lyrics on some of mans worst traits such as religion and politics. Some of the more striking lyrics though are on tracks such as the albums lead track Anti-Social Network, were the band exhibit their concerns on the growing questionable ethics within todays society. The albums closing track The Day I Died, is one of the most honest and stirring metal songs I've heard in some time. The raw and hostile cries from McGlynn on this track are so sincerely bellowed out that you can fully feel the pain and animosity that was tied to the writing of the song, and that haunting rage is what the listener is left with at the end of this monstrous marvel. Peace Was Never An Option easily ranks as Man Must Die's strongest album to date. Each band member has brought everything they have towards the formation of this album, and with that, have created one of the most intelligent forms of brutality that I have had the pleasure of hearing this year. Scots Wha Hae.